Customers who spend $30 or more will get a FREE Marvel Zipper Pull ($4 value)! 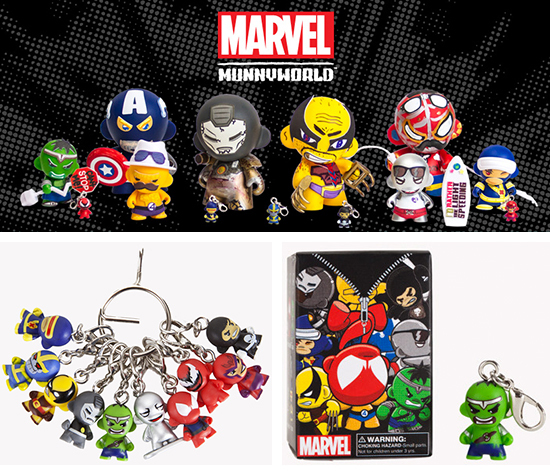 Bring Marvel’s most iconic figures wherever you go – rip, clip, and zip Munny zipper pulls onto your keyrings, zippers, or wherever you feel like! This series of 1″ tall zipper pulls contains 10 different superhero designs, including Scarlet Spider, Punisher, Hulk, War Machine, Cyclops, Silver Surfer, Carnage, Wolverine, Magento, & Thanos! This offer only applies while supplies last, so don’t miss out!